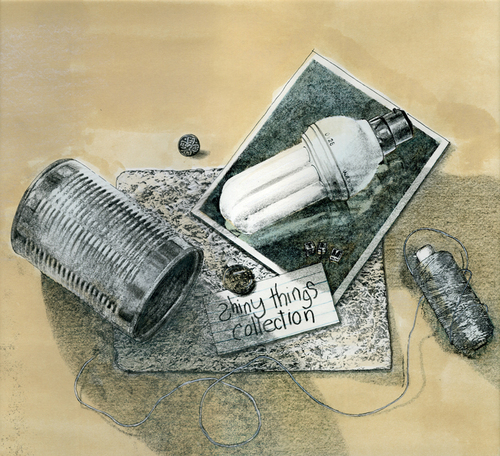 This mixed media drawing hails from a first-year assignment where we had to draw the same household object in 6 different rendering styles. This one was an "illustrative" study, ie like a drawing found in a kid's book. I used lots of interesting media in this including a turps transfer and a background painted with coffee!